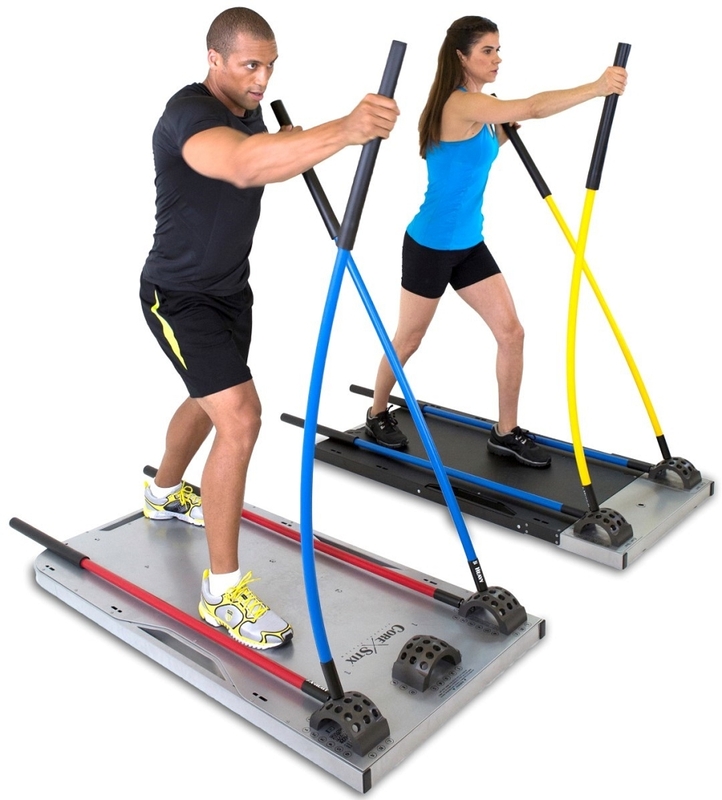 Core Stix is one of the most versatile and scalable fitness products on the market! 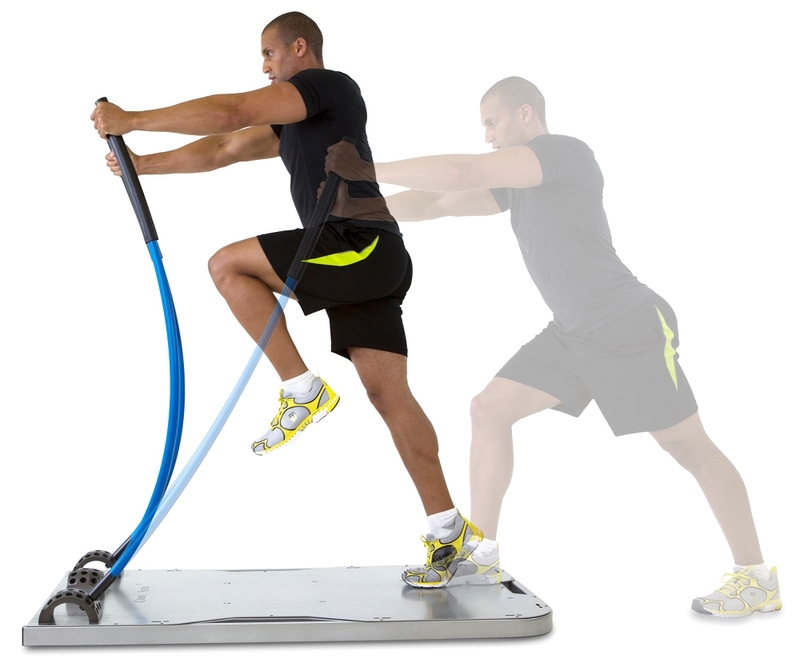 With Core Stix, providing upright, functional training to your clients is easier than ever before. 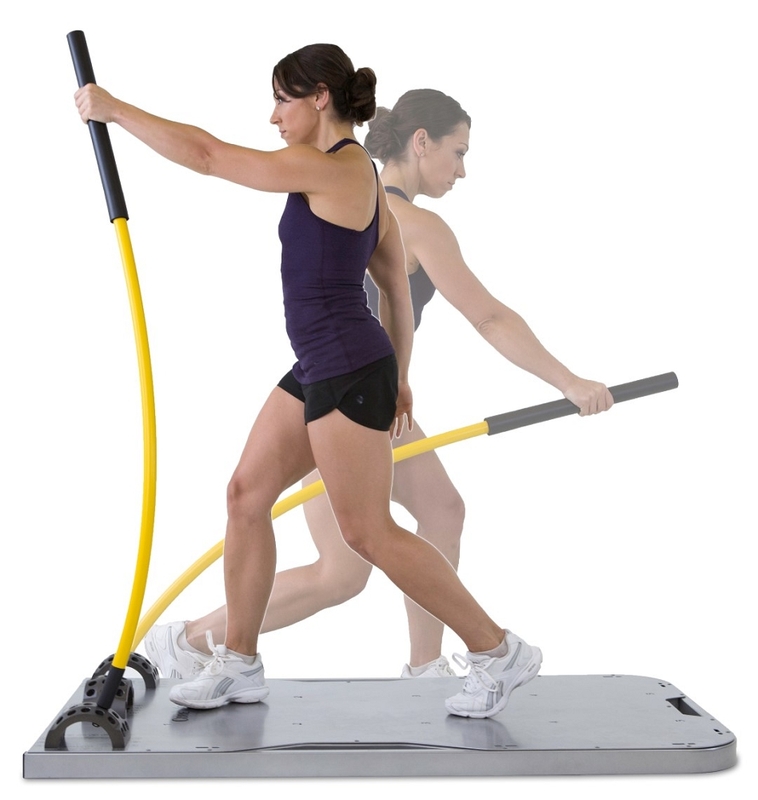 Core Stix’s revolutionary design allows you to provide strength, stability, metabolic, balance, flexibility and other performance improving exercises for your clients while they are standing on their feet, providing life improving functional benefits to just about any user. Studies show that training in the upright position results in better core strengthening benefits. The bottom line is, the best way to improve your patient’s activities of daily life (ADL’s) through therapy is to strengthen their bodies while in the upright position. Users with mobility or balance issues can perform an endless range of exercises in the seated or lying positions. All Core Stix products were designed by an NHL Stanley Cup winning Strength & Conditioning Coach and a former NASA Space Shuttle Mechanical Design Engineer for superior performance, simplicity, and versatility. 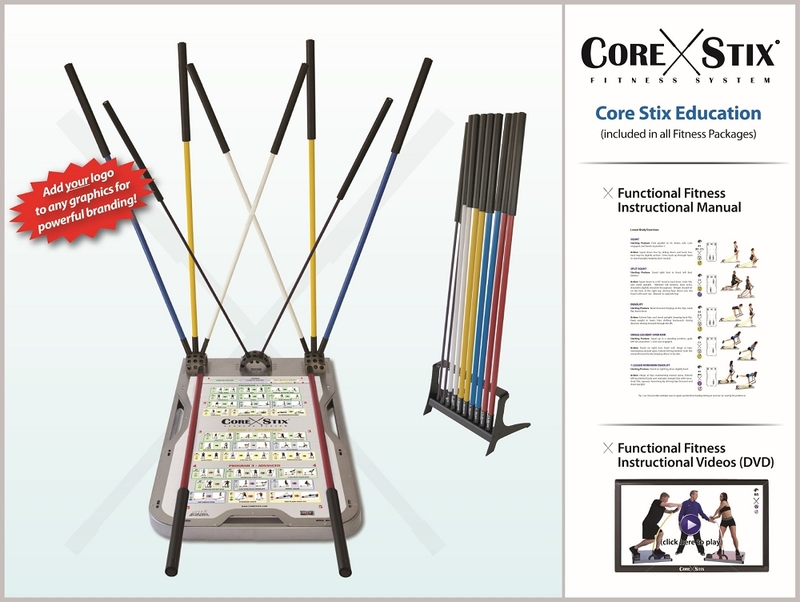 Core Stix gives you a full range of tools to get every one of your clients in the best shape of their lives and build the best functional strength possible! 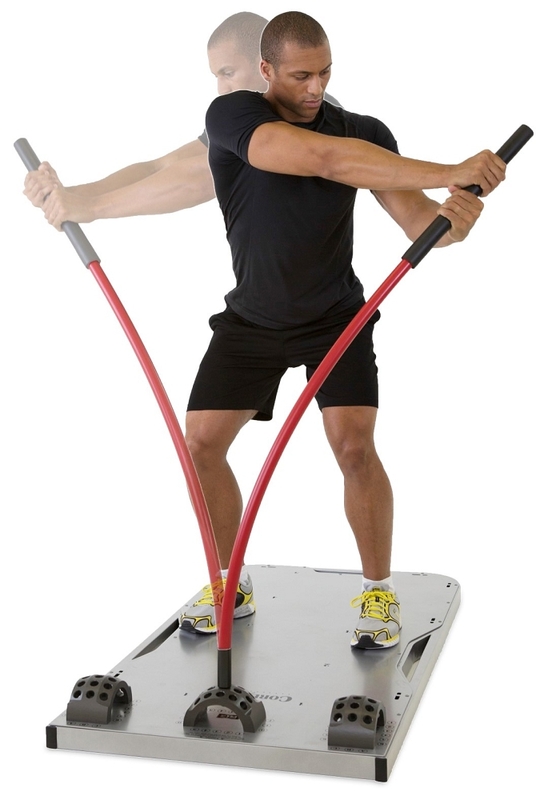 Core Stix has been the best piece of resistance training equipment that I have ever used. I suffer from chronic back problems, this has been a tool that I can consistently use and get results. I notice conducting workouts standing up has considerably strengthened my lower back and core. I think Core Stix would be helpful for lots of people at different fitness levels, it's versatile and you can store it under your bed. I highly recommend the Pro Board to anyone and it's great value compared to other expensive and large workout equipment I have purchased before. I purchased my CoreStix system about 14 months ago. I was introduced to CoreStix by my physical therapist, who had 2 of them in his practice. I am recently retired and have had chronic back problems all my life. After working out on CoreStix twice a week for 3 months at the therapist's, I finally decided to purchase a set for home use. I spoke directly with Kregg Koch at CoreStix. He is very personable and accommodating and he worked up a deal for me and I soon had my system set up at home. I try to exercise 2-3 times a week. I have tried many other exercise programs and couldn't seem to stick with any of them. I also found that when I worked with free weights, I sometimes reinjured my back. 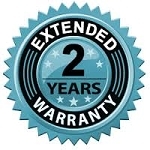 One of the things that I really like about CoreStix is the inherent safety of the system. All my exercises (all well laid out in the CoreStix videos and manuals) are very controlled and balanced and I never feel in danger of hurting myself. My core strength is probably the best it's ever been. I also find that with certain exercises, I also get a cardiovascular workout, so this has been the complete package for me. I have never before had the discipline to stick with an exercise program this long, but I'm hooked on it now. I like that there are no moving parts and no maintenance. It's also easy to move if we temporarily need the room for something else. I told my chiropractor about CoreStix and how much it was helping my core strength and general well-being. He acknowledged that he could see the difference in my physical condition, so I told him his practice needed one. I nagged him long enough that he finally sent one of his staff to look at mine. I guess he was convinced, because he just ordered one for his practice! So a lot more people are going to get the opportunity to see how it works for them. This is one of the best investments that I have made in a long time. 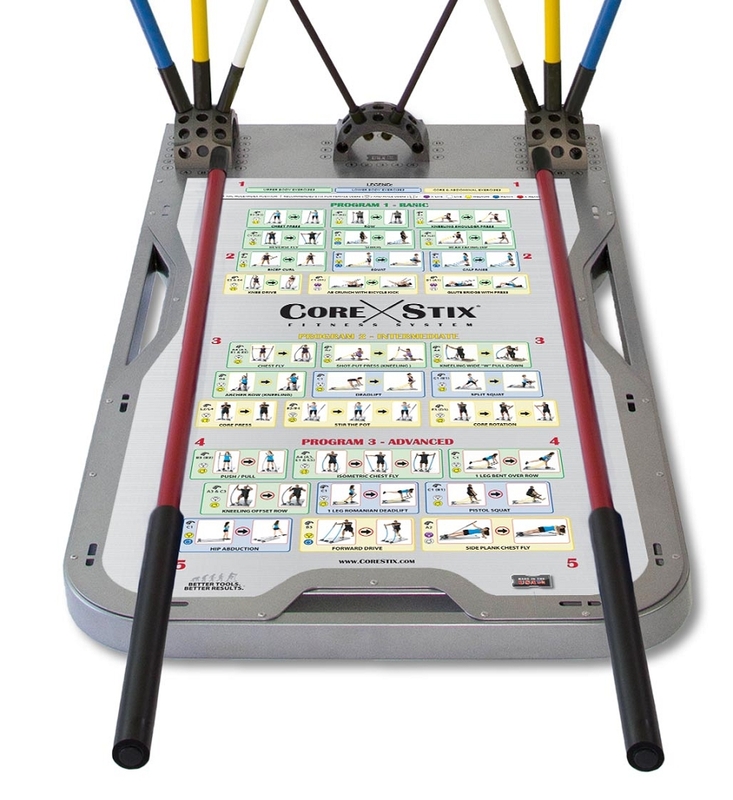 The Core Stix Pro Board is based on a nearly decade long foundation of research, development, and manufacturing of high quality Core Stix fitness and therapy products! Perform an endless range of strength, athletic performance, balance, metabolic, & flexibility routines for a wide range of users on one system. Use in standing, kneeling, lying, and seated positions for any aged patient. World-class instructional programming for personal training and group exercise comes with every Fitness Package sold. 5 Foot Long Stix: One pair each of Lite, Medium, and Heavy. This product does not qualify for ADA tax benefits. Please see our Core Stix One Fitness Package or Floor Mount System Fitness Package for accommodating users in wheelchairs and walkers. 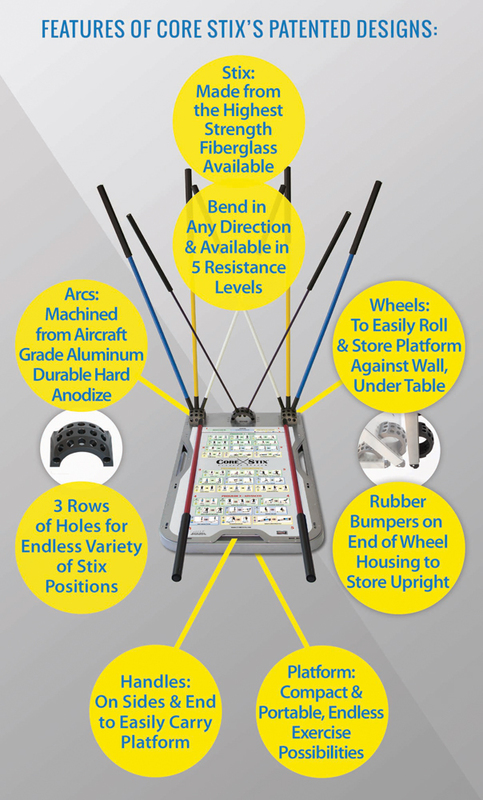 See Core Stix One or Floor Mount System for products that qualify for ADA tax benefits.